Her complexion looked as if a rose tint lay beneath the white skin, producing a most soft and delicate pink for the darkest flesh-tone. Her eyes were of a kind of golden brown – agate colour is the only word I can think of to describe them – and wonderfully luminous: in all of Gabriel’s drawings of her and in the type she created in his mind this is to be seen. Join me as we look closely at artist Elizabeth Siddal. For twenty years I have studied her, read about her, and endeavored to excavate successive layers of concrete knowledge to discover who she truly was. In doing so, I find I have also explored myself. 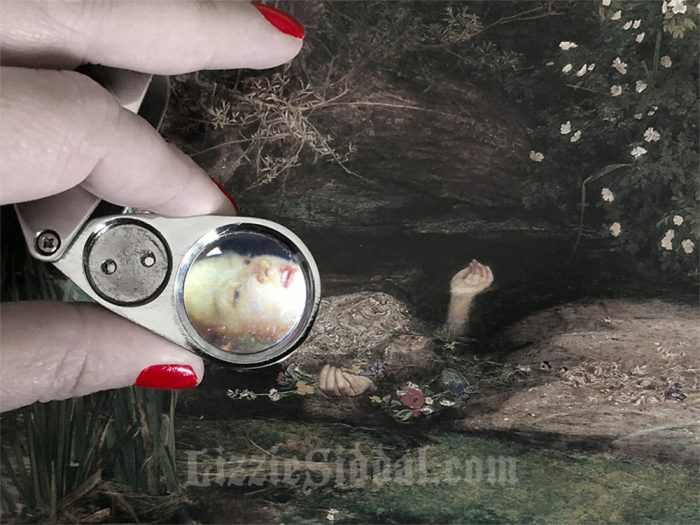 I started LizzieSiddal.com fifteen years ago as a labor of love, curiosity, and passion. My goals remain the same: to pursue the verifiable facts behind the legend and to chronicle that information in an unbiased away. Over time, my interests have expanded, and you can find me posting more often at Pre-Raphaelite Sisterhood. But the dedication, gratitude, and pride in this Elizabeth Siddal project is as unwavering as it is true. • What Shapes Our Perception of Elizabeth Siddal? • Did Elizabeth Siddal Inspire Bram Stoker?